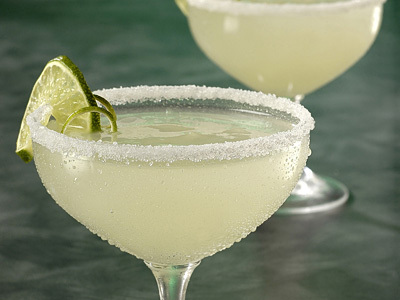 When best quality tequila, orange liqueur like triple sec or cointreau, fresh lime juice, orange juice and lemon lime soda (sprite or 7 up) are combined and splashed with olive juice, the true Mexican martini is born. Follow this recipe and discover how good martini taste when it’s prepared with all basic ingredients and no ready-made mixes are used. It is most palatable when served in a large chilled glass. Put large martini glass in a freezer to chill. Take crushed ice into cocktail shaker and fill it until half. Add tequila, triple sec, orange juice and fresh lime juice in it. Shake well to make it ultra chilled. Take out serving glass from freezer. Frost its rim with salt by first moistening its rim with lemon juice followed by dip in salt spread in a flat plate. Strain and pour mixed drink into garnished serving glass. Add lemon lime soda on top of martini followed by splash of olive juice. Garnish drink with lime wheel and serve. Use coupette glass if large martini glass is not available. 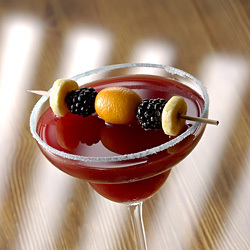 Do not use any ready-made mixes like sweet and sour mix for preparing this authentic Mexican martini. Be adventurous with your cocktail, experiment by changing the ratio of ingredients to your liking to prepare best tequila cocktail ever. Serving Ideas: Quench your alcohol thirst with a glass of this cocktail drink. It is a perfect cocktail to start your weekend party on Friday night.